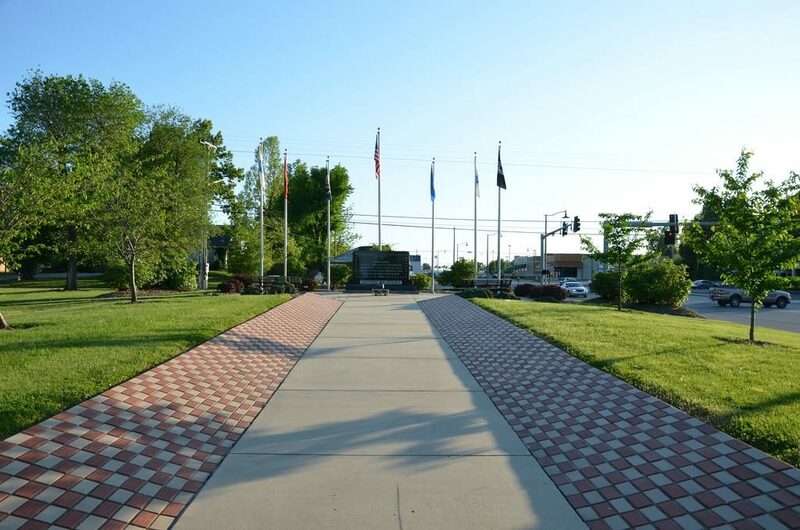 The American Veterans Memorial is located at the Kenneth E. Cowan Civic Center, at 500 East Elm Street in Lebanon, Missouri. The memorial is funded by donations and with the purchase of commemorative bricks. You can purchase a personalized commemorative brick to be placed in the Memorial for only $50.00. An order for bricks will be placed on April 1 each year. The bricks should arrive in time to be laid by the Lebanon Parks Department by Memorial Day. Forms can be picked up at the Lebanon Area Chamber of Commerce located at 186 N. Adams Ave. in Lebanon. For more information, please contact the Lebanon Area Foundation at 417-532-8868. Click the link below to download the American Brick Order Form.